Over and over in many Curiosity photos there are faded and non faded "white square lines"
extreme antiquity when they lost their atmosphere and the surface of their planet destroyed! from the dead creatures. So much so that they are using what looks like a "dog-face-man"
Notice how the "dog-face-man" looks like it is pointing as if to try to find something important! or sculptures. I can't say for sure how much are embellished but it could be they are trying to nudge us along for a better understanding of what really is going on mars. Please compare the "dog-face-man" look in other photos below! Interesting "Dog Face Man" Look! A pattern of the same style in 2 other photos! Two by Curiosity cameras and another by a satellites orbiting Mars! ​More information at url below! 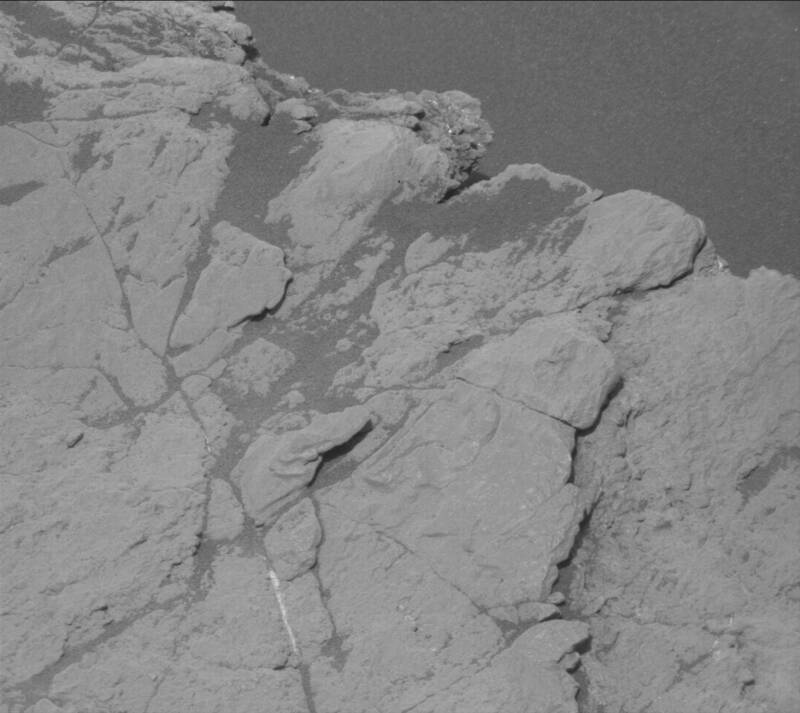 Here Is A Pattern That Repeats Many Times - Especially Photos From The Mastcam! containers made of the creatures themselves​, it is something I wanted to stand out. floor memorial sculptures! In my opinion there really is a consistent theme-pattern. Hands would not be like regular hands, they had to be sized down. So it wouldn't take eternity to finish their outside floor sculptures. Odd arms & hands are like Q-tips ! the arm = lines are not as straight. Millions of tiny odd hands with arms sculpted or imprinted into the outside floor sculptures! Patterns Of Stonework On Earth With Similar Meanings Of The Outside Floor Sculptures On Mars! Sacsayhuaman, Cusco, Peru! Plus, so much more . . . Joints are tight together in many cases! Like the mega stone monoliths in Peru ! A "Pattern" Of Arms Like Earthlings Have, But Very Odd Sculptured Objects On And Around The Arms, Legs And Chest Etc. 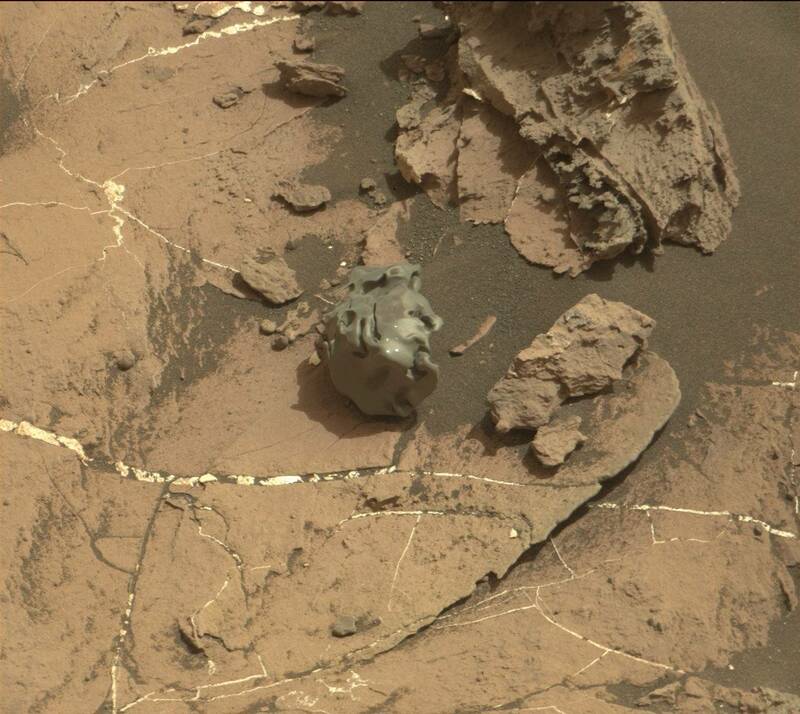 Notice the how the "green " arm sculpture in the mastcam photo example, has no head as we would define a "head". But looks like a droopy tongue and droopy land etc. Note the black and white Nav Cam photo, how it repeats a similar pattern as well. The pattern of using other important meanings to the martians, but ones we don't know for sure! But could very well be related to the loss of their creatures in the extreme ancient calamity on their planet. Flow Pattern Of Small Pieces! Flow patterns of particles or pieces that seem to do damage but also seems to be mistaken for food! There really has to be a story in these sculptures ! Notice the hints ! Dealing with what could very well be related to powering the green object! As if the green object is a representation of some sort of "power plant". Notice the electrical "stick figure" in "white" ! Plus, so much more ! on this page are stories in sculpted form!